Having a beautiful landscaping design is more than just grass plants and bushes. At L.I. Elite Lawncare, we know that the look of your home or business can be enhanced by the masonry work on your grounds. By adding a paver driveway, walkway or retaining wall, it allows us to really highlight your landscape design. Masonry work will help boost your home’s curb appeal and can even increase the value of your property. Your new masonry design will also make you the envy of the neighborhood. L.I. Elite Lawncare can supplement our landscape design with masonry work in Suffolk County and throughout Long Island. We can do a variety of masonry jobs, in all different styles and colors and we’ll work with you to come up with a design that will satisfy what you need from the job and will also fit in with the full landscape design of your Long Island property. If your home or business needs a retaining wall to restrain soil, we’ll create one that will be sturdy and will also look natural on your property. 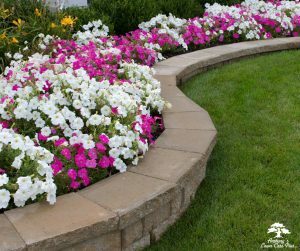 Walkways, pathways, and driveways can also enhance your overall landscape design and while we don’t work with asphalt, we can install these paths with beautiful paving stones. If you’d like to add a patio to your home, our team of professionals can also do that for you as well. At L.I. Elite Lawncare, we can create a landscape design around whatever masonry project that you would need. You won’t have to hire two different companies to get the work done. We work with a masonry crew and will coordinate the entire job for you. And as always, we’ll come in with a fair and reasonable price for all your residential and commercial lawn care needs. If you’re looking to have masonry work done at your home or business that will make your grounds look spectacular, then don’t hesitate to contact L.I. Elite Lawncare today!